There are two (2) ways in which you can add customers to your helpdesk. Manually add each customer by using the Add new customer wizard. Import customers from a CSV file. Click on the Customers option. At the Top Right of the page, click on the drop down menu and select Add Customer. On the Add Customer page, enter a name and email address for the customer. You can also populate other required fields and upload a profile picture. 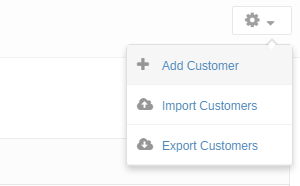 In addition, you can Add custom fields to capture import data from customers. 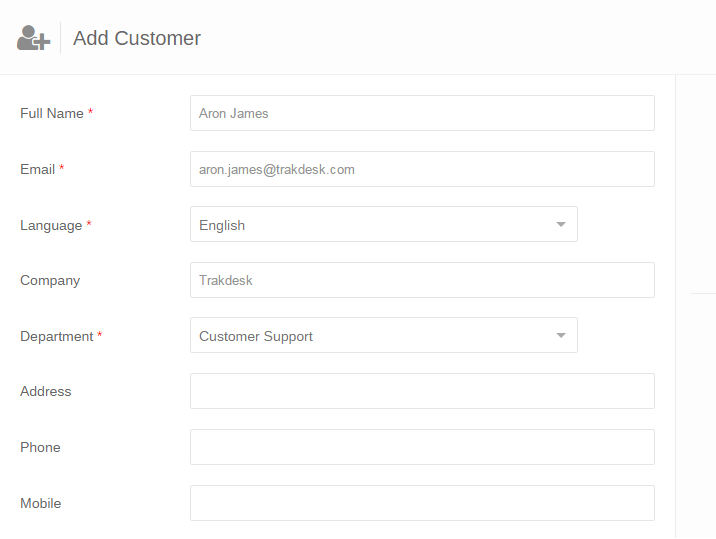 Once you're done populating the fields, click on the submit button to add the customer to your helpdesk. Note: Each customer must have a unique email address. At the Top Right of the page, click on the drop down menu and select Import Customers. Important: If you are importing data that was exported from another system or manually put together, you must download the sample CSV file and format your data (columns) to match trakdesk's structure. 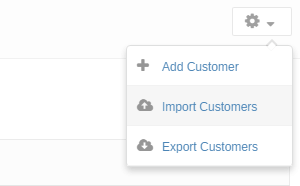 Once the popup modal has opened, select the CSV file that contains the list of customers and click on the import button. Note: If you are importing customers that belongs to a company, you must create the company before commencing the importing process. Duplicate records will be updated with the new information contain in the CSV file. Duplicate records are detected by customers email address.